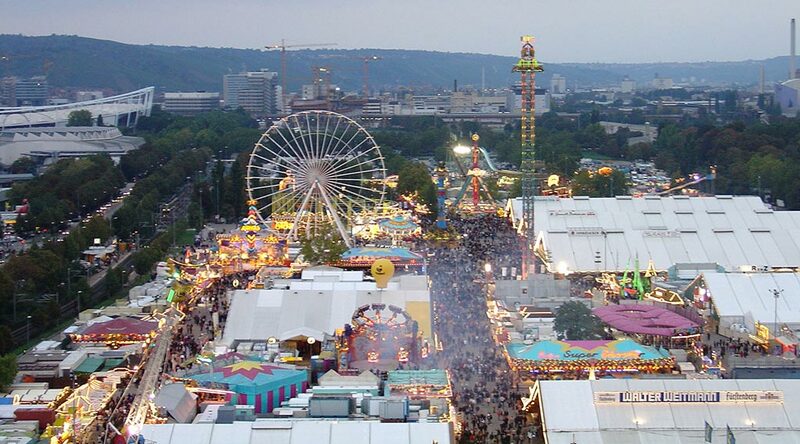 The Cannstatter Volksfest is an annual beer festival and travelling fun-fair held in Stuttgart in Germany. This year it will be held over a three week period from 25th September to 11th October. 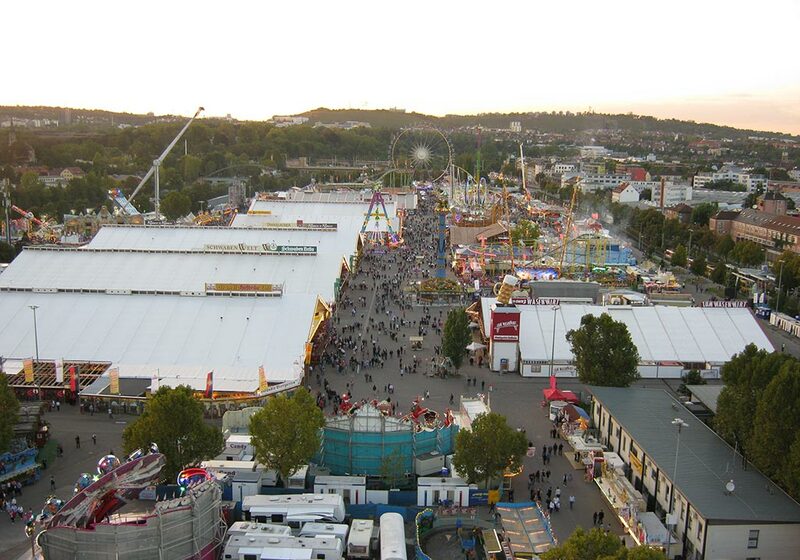 Visitors to the Cannstatter Volksfest often refer to this event as the Stuttgart Beer Festival, but it’s actually more of an autumnal fair. Check out this amazing Stuttgart Beer Festival tour. The fun-fair is held at the Cannstatter Wasen, which is a 35 hectare festival area located on the banks of the Neckar River. This fun-fair is an annual event, providing a rich variety of entertainment and plenty of enjoyment over a 17-day period including the last week of September and the first week of October. Enjoyed by people the world over for almost 200 years, the Cannstatter Volksfest is enormously popular, attracting around four million visitors from all corners of the globe to the state capital of Baden Württemberg. Visitors are captivated by the electric atmosphere of this fabulous fun-fair, with its glorious festival tents, an exciting flea market, and many other spectacular attractions. 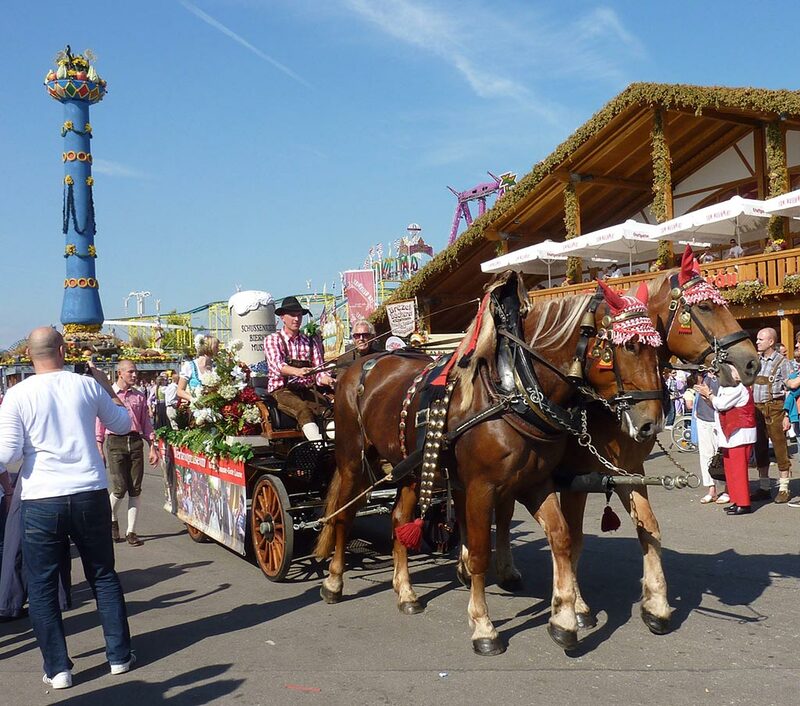 The Cannstatter Volksfest is rich in tradition: it’s not only the largest festival in Baden Württemberg; it actually is one of the biggest fun-fairs in Europe, second only to Oktoberfest in Munich. There’s a huge range of fairground rides for people of all ages, including roller coasters, a big ferris wheel, the traditional carousel and a wild-water coaster. Celebrations continue on in the beer tents while visitors are enticed to the Chandler’s Market where there’s an enormous range of curious trinkets and other useful items. The official opening of the festival begins with a ceremony whereby the incumbent Lord Mayor of Stuttgart tries to tap the first barrel of beer, using as few hits as possible. This ceremony occurs in late September on a Friday, ensuring that the duration of the festival is actually 17 days. 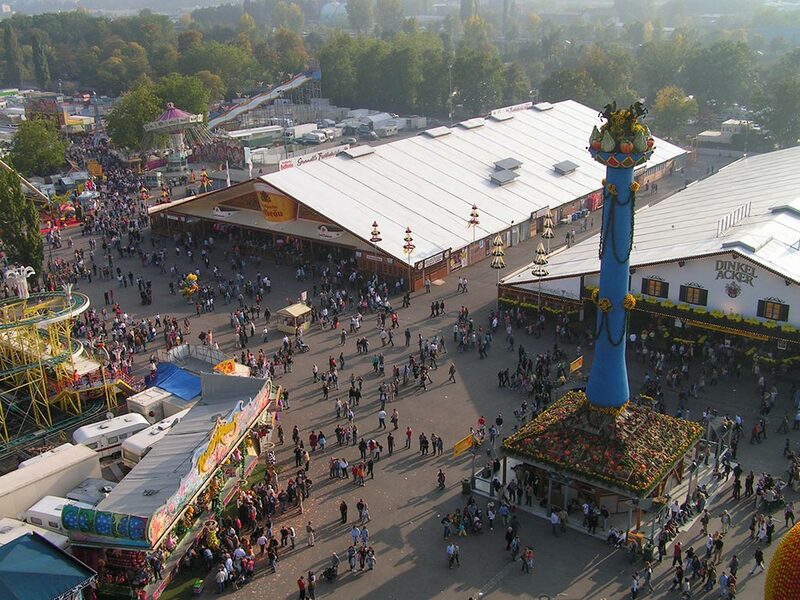 The Volksfest symbol is the traditional fruit column, weighing 3.5 tons and rising 26 meters above the fairground. The inaugural Volksfest was held in 1818 and this towering column decorated with vegetables, fruit and cereals was there, adorning the fairground site. This symbol is a reminder to visitors of the origins of Volksfest as an agricultural harvest festival. This year you’ll find seven large beer tents on the Cannstatter Wasen where people can enjoy their celebration. The tents either carry the name of the brewery supplying the beer, or they have their own name. Arcadia Erlebniszelt. This tent was established in 2005. It seats 1,800 visitors; has an artificial waterfall and Dinkelacker brew. Since 1982 the tents of Klauss, Grandl and Laub have been located by the fruit column; with each tent taking its turn to host the Opening Ceremony. Generally, the price for a Maß (1 Litre of beer) is the same in all tents. The Annual Volksfest Parade is another exciting attraction of the Cannstatter Volksfest. Consisting of fabulously decorated brewers’ drays, each drawn by a 4-dray horse-team, in addition to exciting and talented singing and dancing groups in traditional costumes; the parade winds its way through the city streets. Every year, German Reunification is marked on the 3rd of October by a huge fireworks display. Black Hole Indoor Roller Coaster. Of course the best amusement you will find in the beer tents. Monday to Friday from noon: Beer tents open from 11 am. Saturday, Sunday, Bank Holidays: Everything opens at 11 am. Sunday to Thursday 11 pm closing. Friday, Saturday and day before Bank Holiday 11.30 pm closing (music ceases at 11 pm). From 2016 we’ll be taking thirsty travellers to this fine event. View tour details here.